Apple 's next big project could be an in-car satellite navigation (sat nav) system, according to one German report. German magazine Focus says that Mercedes-Benz will get the as-yet-unnamed product (iSat?) six months before everybody else. Google Maps integration should be a shoo-in as it's already included in Apple's iPhone. Both companies have also said publicly that they're increasingly going to work together. Google CEO Eric Schmidt currently sits on Apple's board. Multi-touch, the iPhone's much-heralded (and patented) touchscreen interface, could also work well on a satellite navigation system. 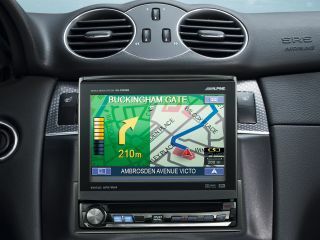 Mac news and rumour sites across the web are pouring scorn on the sat nav idea. Most think it's more likely that the iPhone - or some future version of it - will include GPS instead.